How much change should you get back from a purchase? 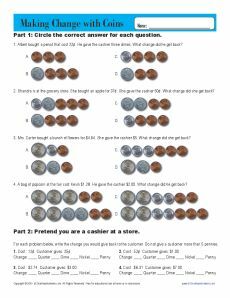 This worksheet has two parts: problems with images of the coins and then problems with calculating the change. It's aligned with 2nd grade Common Core Standards for Measurement and Data, although other grades might also find it useful.